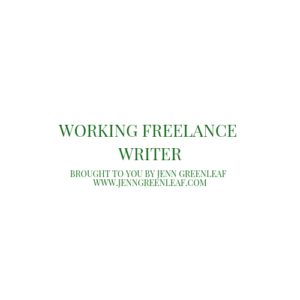 Today, I’d like to announce that Working Freelance Writer is officially launching. What will you find in this publication? How to tips for those who would like to break into a freelance writing career. The do’s and don’ts of being a freelance writer. Misconceptions of what it’s like to work in the freelance writing industry. Where to find freelance writing work online and in print. How to pitch new ledes and contacts. What it’s like to be an “active” and working freelance writer. Why Did I Start Working Freelance Writer? Can I help potential writers overcome these obstacles? My hope is the content I deliver will inspire writers to – WRITE. I also hope I can help them find work, develop their skills, and answer questions that come up along the way. If I can’t answer their question, I’ll do my best to point them in the right direction. Initially, because Working Freelance Writer is a new publication, I’m going to publish a lot. Frequent publications will help me build its platform and develop an archive for writers to use as a reference. After that, I’ll develop a posting schedule based on demand. So, stay tuned for that. For those who have interest, there’s a Facebook page and group that will contain updates and other publication information. As always, if you have any questions, feel free to contact me anytime. If there’s a topic you’d like to see me cover on Working Freelance Writer, please reach out. I’m open to suggestions.